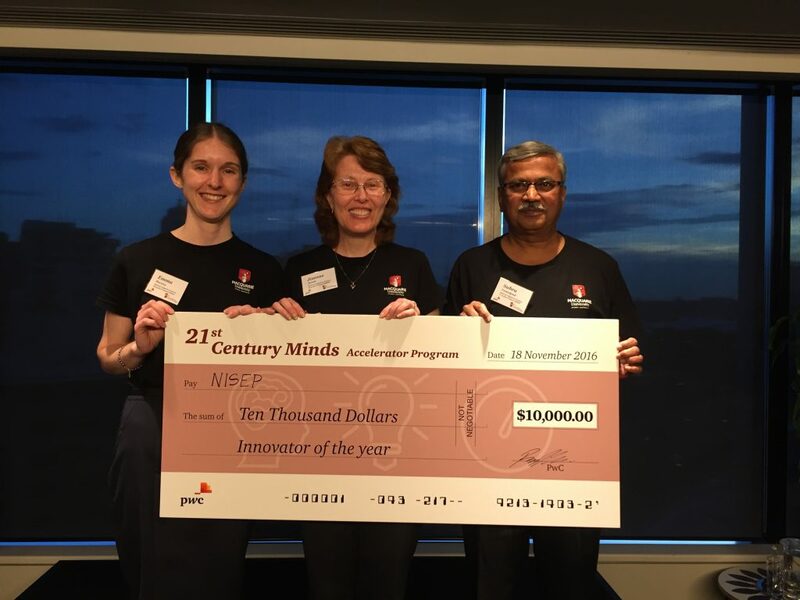 Macquarie University-hosted National Indigenous Science Education Program (NISEP) has been recognised as one of Australia’s best STEM education initiatives and has received a $10,000 award at the Sydney Showcase of the PricewaterhouseCoopers 21st Century Minds (21CM) Accelerator Program. 21CM is designed to unearth, grow and scale STEM education initiatives focused on building Australia’s pipeline of innovators and problem solvers. “NISEP’s vision is to help Indigenous secondary school students harness the power of education, realise their potential and become future leaders,” says Associate Professor and program co-director Joanne Jamie. In 2016 alone, NISEP placed 150 Indigenous secondary students in leadership roles where they presented relatable Western and Indigenous science at school, community and university events, with over 2000 people as their audiences. The NISEP approach is strengthened by a supportive and culturally-appropriate consortium of Aboriginal Elders, science academics and high school staff, and by the use of mentors and role models from universities and communities. 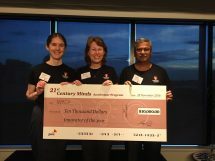 “To be recognised as an Innovator of the Year among a group of equally-worthy finalists is a humbling experience and one which will serve as a reminder of the importance of improving Indigenous representation in higher education, ensuring that indigenous students achieve their full learning potential and are empowered to shape their own futures,” says Associate Professor Jamie. Ten years on, where are our Indigenous Early Childhood Services graduates now?